An astonishing tale, spanning continents, where truth is stranger than fiction. This historical saga of an extraordinary Australian pioneer family continues into a new generation. Sadie is brought-up amongst the vineyards of the Yarra Valley in Australia while her work-obsessed father reaps riches from the boom years before the Great War. With post-war depression looming, Sadie’s only option is to flee from her disastrous marriage, seeking refuge in Cleethorpes, a small seaside town in northern England. Years later, when her sons are in RAF Bomber Command, she receives a letter from her long-lost brother which forces her to confront the past and her part in her family’s downfall. Can old wounds be healed? Will she find new love? Will this second war destroy everyone she saved? The cover of this book features a photograph of a beautiful and confident young woman. Is this Sadie? Why is this attractive woman facing “wars”? Are her wars conflicts between countries, or her own personal battles? Readers, welcome to the third book in the series that tells the story of Joseph Timmons and his family. This is a true family saga, filled with heroic characters and wide vistas. Fires, droughts and long distance compete with family, love and dreams. 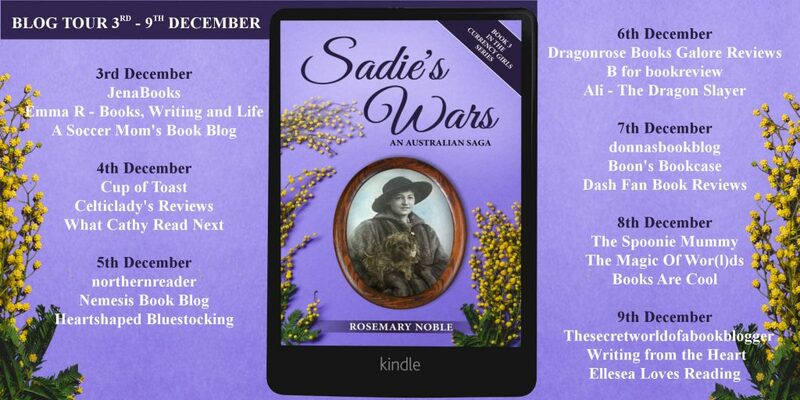 The book tells Sadie’s story in chapters that alternate between England and Australia. The book begins in West Australia, Cannington 1902, where we meet Sadie as a young girl, fresh and eager. Then the story moves to Cleethorpes, England, June 1940 where we find a middle-aged Sadie, who has already faced many challenges and will go on to even more struggles. Because of the focus on Sadie, it is easy to read the different time periods. Sadie lives a wide-screen technicolor life, filled with fascinating characters, lands, and experiences. Her family, her lovers, her choices, are all larger than life. Against a backdrop of World War I and World War II, she revels in love and pleasure, and grapples with sorrow. Yes, we will find that Sadie’s wars did encompass both the two great wars and also her own internal battles. In dealing with the real wars, she found the strength to fight her own battles, whether in Australia or England. As I read the book, I was engrossed in the amazing and thrilling story. Then I found out that much of it was based upon actual events and real people. The book is “dedicated to the descendants of Joseph Timms. Be proud.” Thanks to the author for sharing this engaging and inspiring story. Thanks to Rachel’s Random Resources and the publisher for an ARC. This is my honest review. Author Bio – I worked as a librarian, mostly with young people, so books have been my life, ever since I first stepped into a library and found a magical treasure trove. My other love is social history. Retirement gave me the opportunity to travel to Australia where I discovered stories that deserved to be written. I found a new career as an author which gives me immense pleasure. I write for myself but am delighted that others enjoy my books. I enjoyed this book too. Love the way you get to the core of Sadie’s fighting spirit with your quotations. Sadie is a wonderful character to meet. Thanks Jessie- lots to discuss about this book and series. 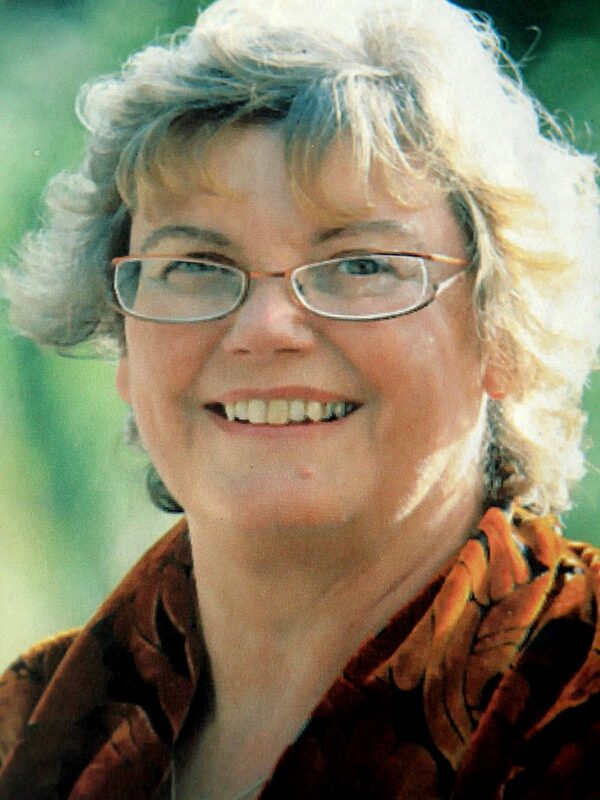 I’ve read all Rosemary Noble’s books, but this is by far her best. Passionate historian. Thanks Angela. Yes,fascinating history and compelling characters.